Help train Warren-wing candidates to run and win. Our candidate training at the 2016 Democratic National Convention was a big success! Feedback from local, state, and national candidates has been great about the vital skills they learned. It costs about $600 per person to conduct this training. That's cost-effective and a great investment considering what they'll be able to do in office. But it does add up. 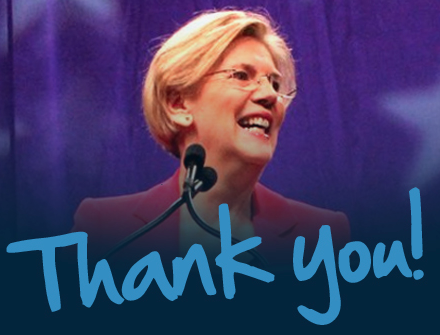 Can you chip in $3 toward training and scholarships so more progressive candidates can run and win in 2016 and beyond? You can donate on this page or by mail here.